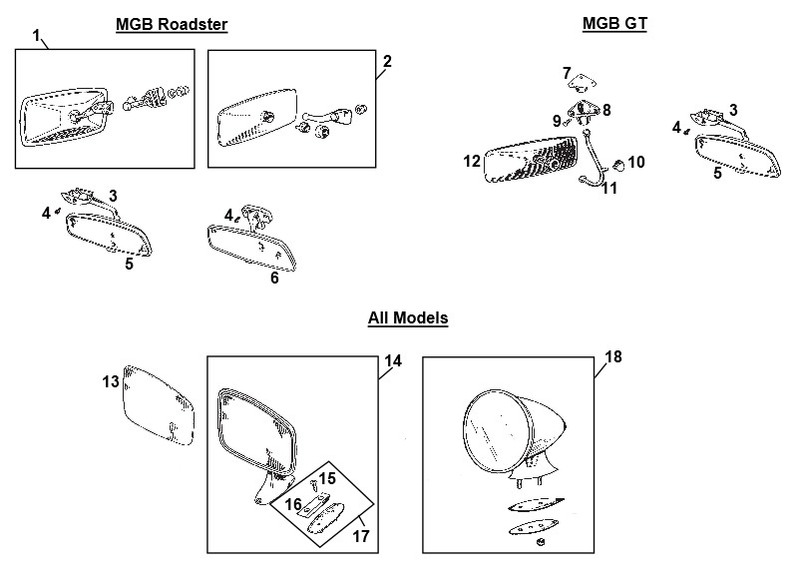 Suiatble for :- MGB GHN3/4 cars. 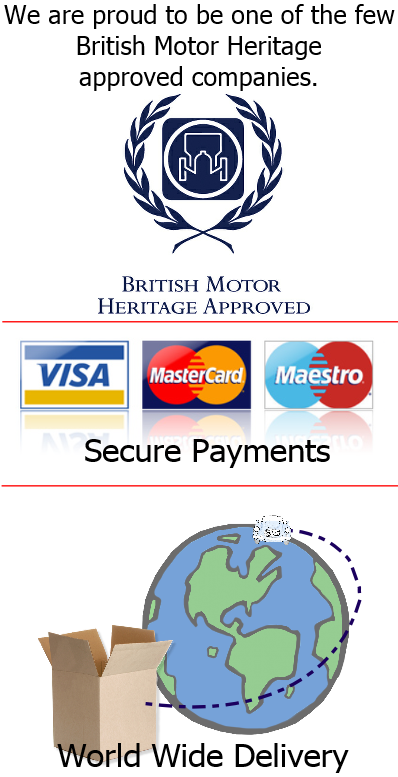 All Sprite & Midget 948cc & 1098cc, All 1275cc G-AN4 & H-AN9 models. 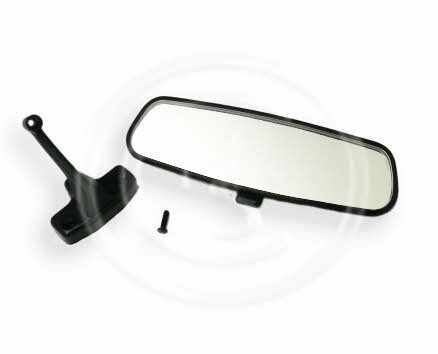 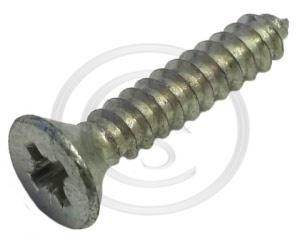 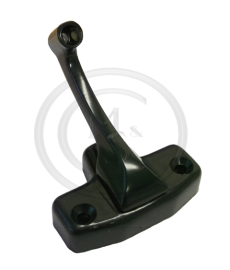 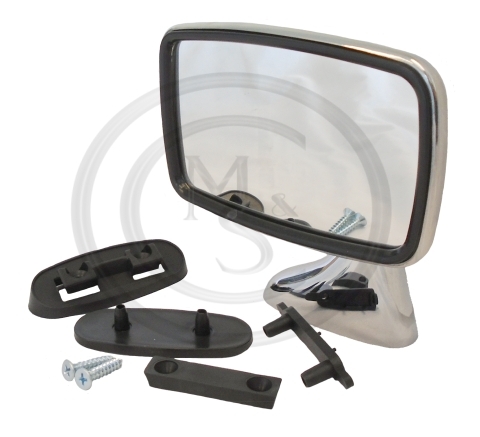 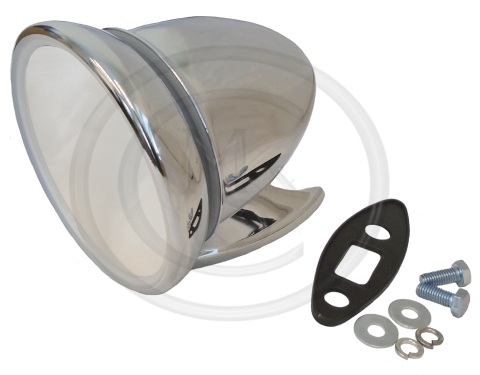 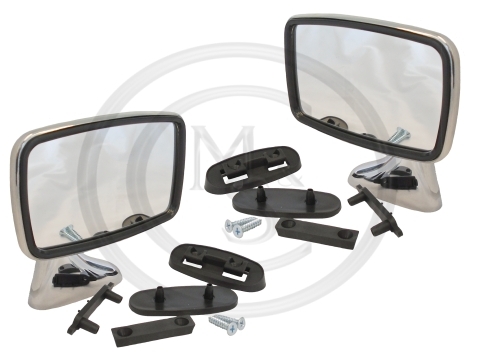 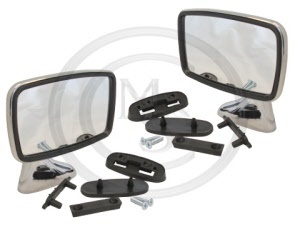 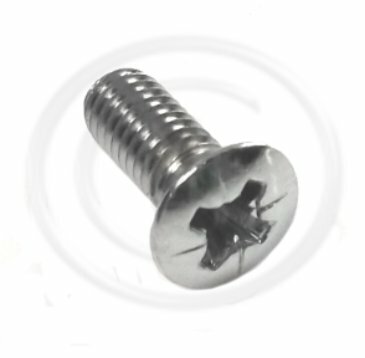 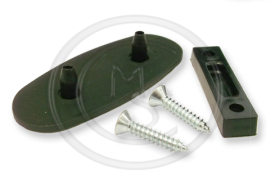 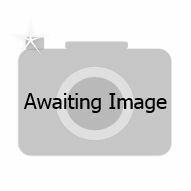 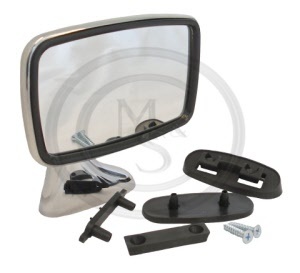 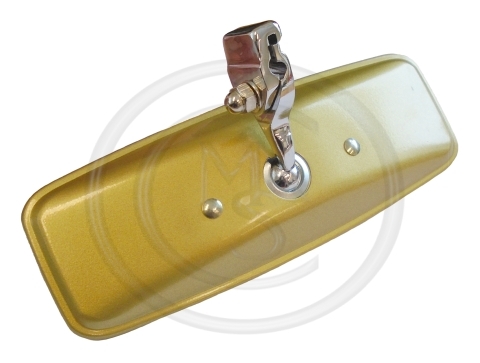 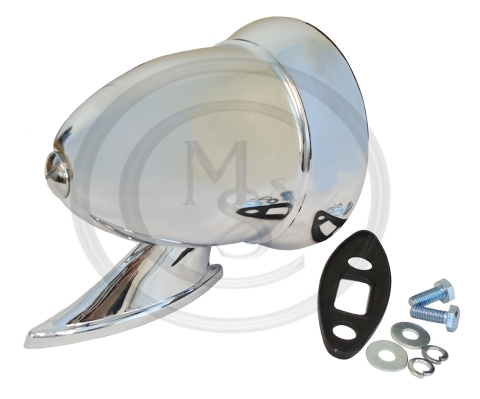 This BEK345 pair of door mirrors and fixings are suitable all Mini, MGB, MGC, Midget & Sprite models.